Shopping for Star Wars Pop! Vinyl Figures? Here comes the portly green pig-esque guards from Return of the Jedi! Freshly escaped from from the Funko vault, this staple of the Star Wars universe is just the thing for your collection. 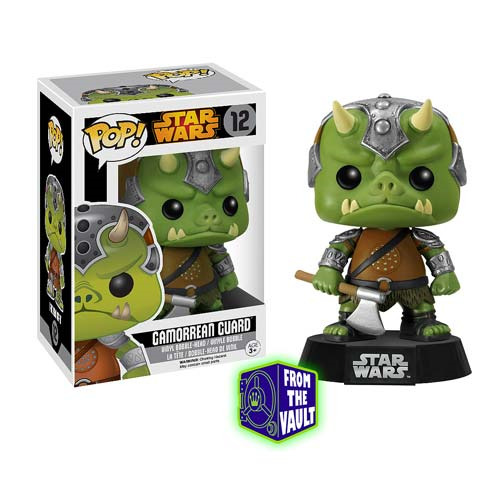 The Star Wars Gamorrean Guard Pop! Vinyl Bobble Head measures 3 3/4-inches tall. Ages 3 and up.